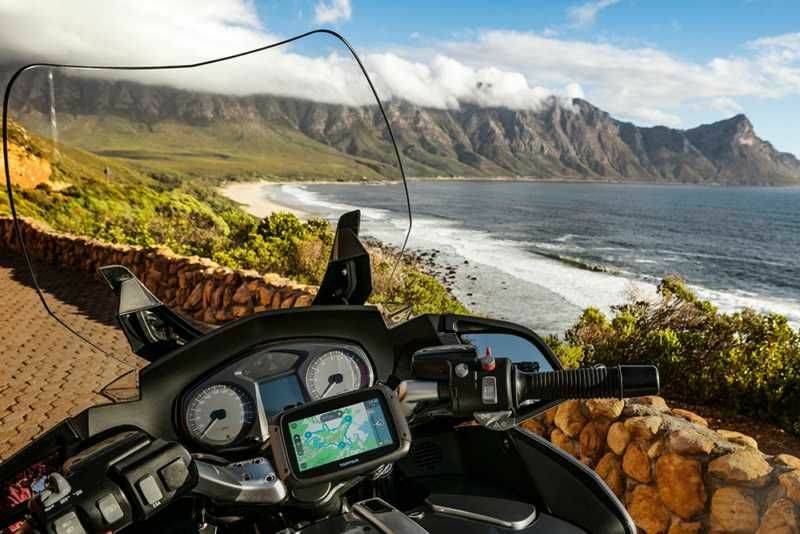 Discover the most exhilarating exclusive new routes with the latest Wi-Fi® connected, Quad Core TomTom Rider. Personalise trips with hills and curves, directly on your sat nav or when planning your route on MyDrive. Take control of your smartphone with voice via Siri and Google Now™. Unlock the use of your smartphone with Siri and Google Now™ for onboard music access, calling, messaging, checking the weather and more. 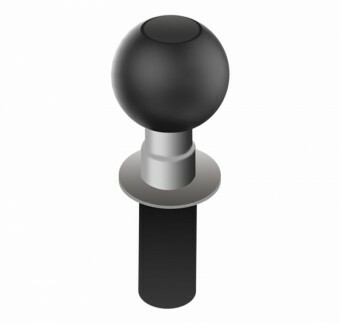 Have smartphone messages read aloud to your headset so you stay connected but focused on the road. Lifetime World Maps, TomTom Traffic and services**. 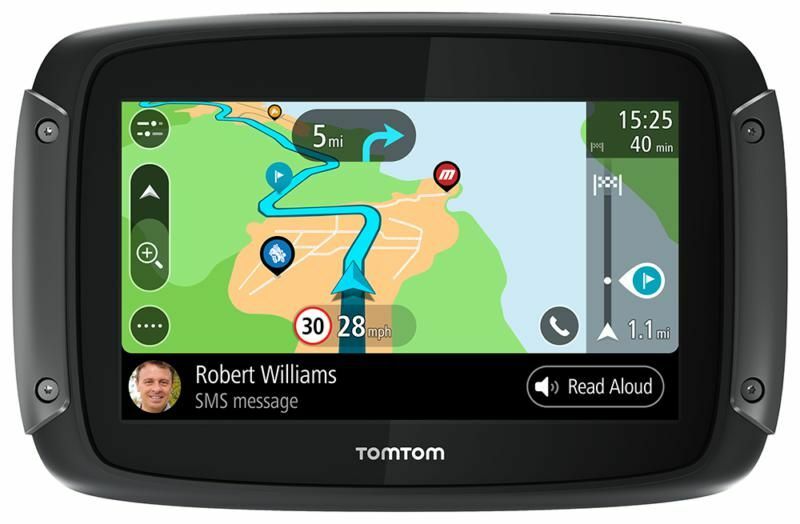 Install and update TomTom Maps at no extra cost. Get intelligent routes that avoid traffic in real-time. Notifications alert you to approaching speed cameras. The rugged, metallic edged TomTom Rider is dust, drop and water-resistant (IPX7). The capacitive touch screen can be toggled to adapt to light and heavy gloves. 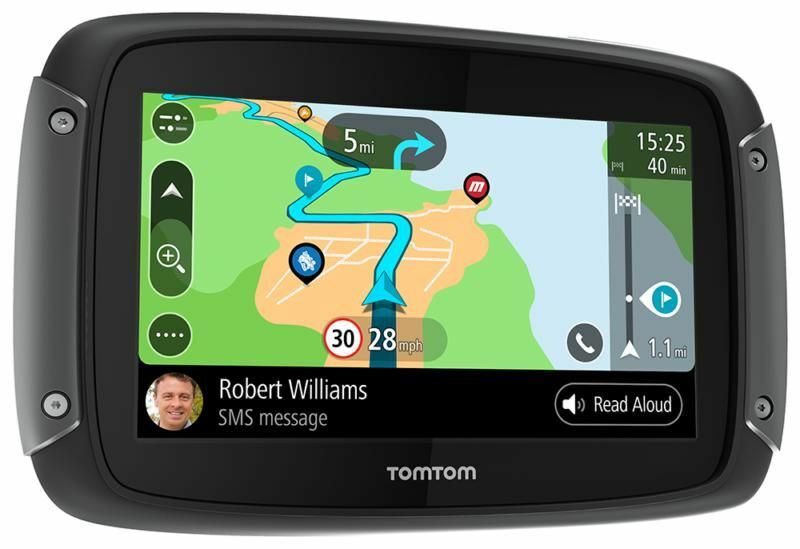 Now powered with a fast quad-core processor, your TomTom Rider runs faster than every before. The motorcycle sat nav comes with an universal RAM mount. Get the latest maps, software and easily sync new routes for your TomTom Rider via built-in Wi-Fi®. No computer needed. 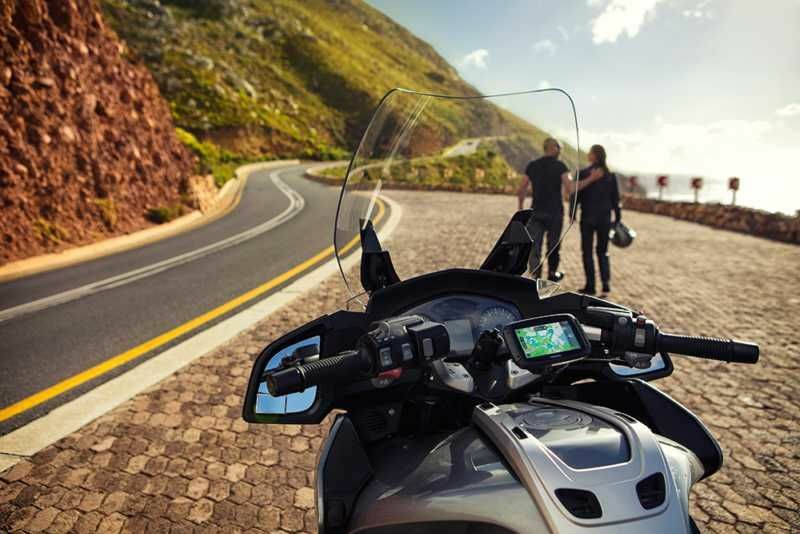 Your motorcycle sat nav notifies you when new updates are available - simply connect to your preferred Wi-Fi® network and choose what to install. 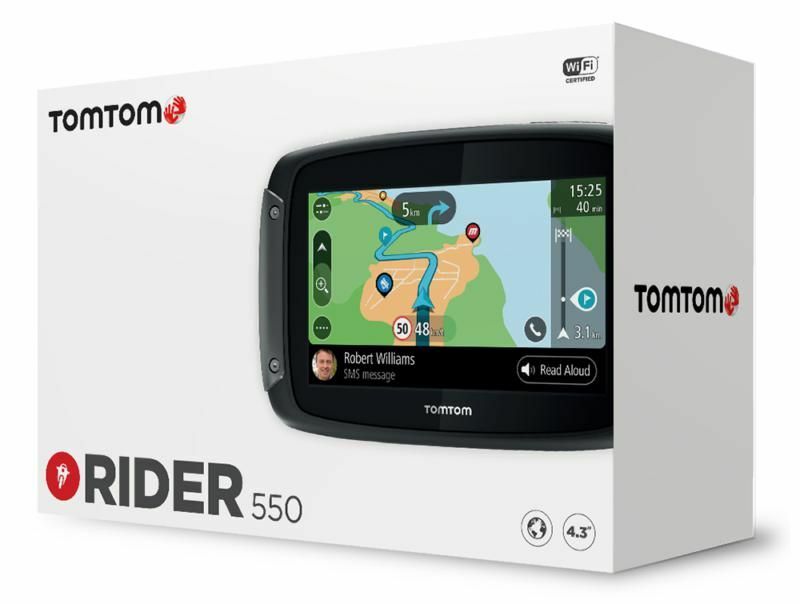 NEW TomTom Road Trips: Get on the road with the world’s best curated routes available exclusively to sync to your Rider 550. 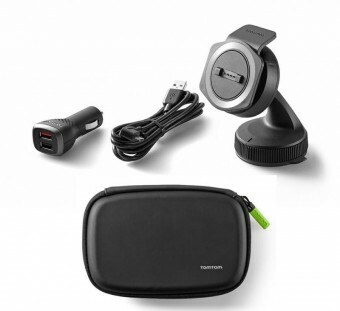 NEW Updates via Wi-Fi®: Get the latest maps and software for your TomTom Rider via built-in Wi-Fi®. No computer needed. NEW Smartphone Messages: Have smartphone messages read aloud to your headset. NEW Compatible with Siri and Google Now™***: Unlock the use of your smartphone via voice for onboard music access, calling, messaging and more. NEW Fast Quad-core Processor: Plan routes faster than ever before. Winding and Hilly Roads Find the most exciting winding roads and climbs to avoid the boring straights. Roundtrip Planning: Let your TomTom Rider automatically discover a different return route from your journey out. Motorcycle POIs: Enjoy over 1000 pre-installed points of interest dedicated for motorcyclists. TomTom MyDrive Motorcycle Route Planning: Create your own thrilling rides on TomTom MyDrive by selecting hilliness and windiness levels. Then sync them wirelessly to your device. Lifetime World Maps*: Install and update world maps at no extra cost, for the lifetime of your motorcycle sat nav. Lifetime TomTom Traffic*: Get intelligent routes that avoid traffic in real-time for the lifetime of your motorbike sat nav. Lifetime Speed Cameras*: Notifications alert you to approaching speed cameras. 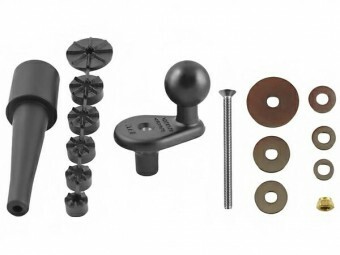 RAM® Mount Kit: Included robust and universal RAM® motorcycle mount. CHOOSE YOUR CHALLENGE Find the most exciting winding roads and climbs to avoid the boring straights directly on your sat nav. Select how challenging you want the windiness and hilliness: low, mid and high. Your sat nav will do the rest of the work so you can enjoy the adrenaline fuelled fun. Want to make a stop? Tap the screen to find nearby hotels, restaurants and more. With over 1,000 preinstalled motorcycle-friendly points of interest, you’ve got the tech you need for adventure. Do you have what it takes to go explore?